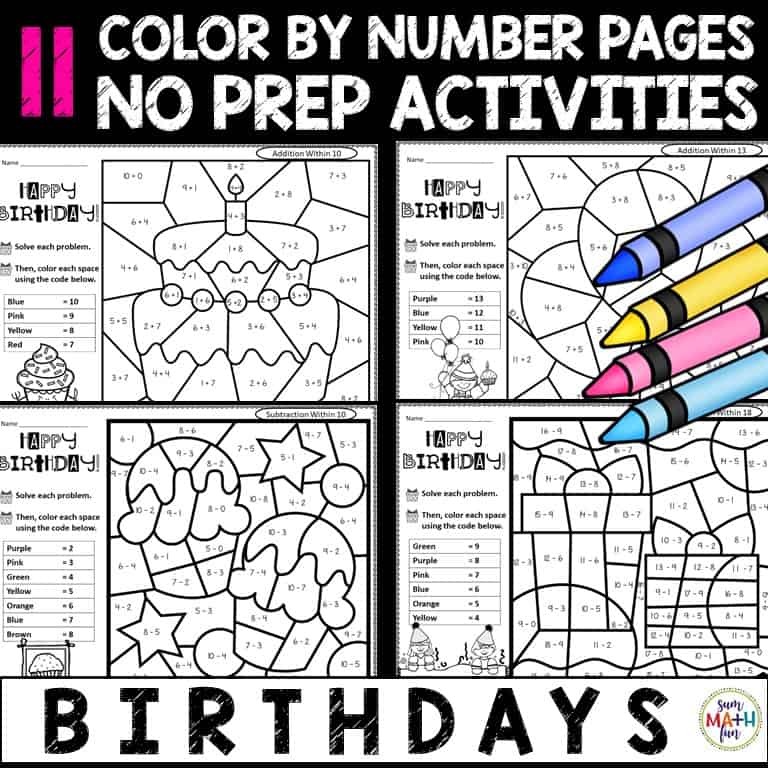 These are perfect to have on-hand for student birthdays! 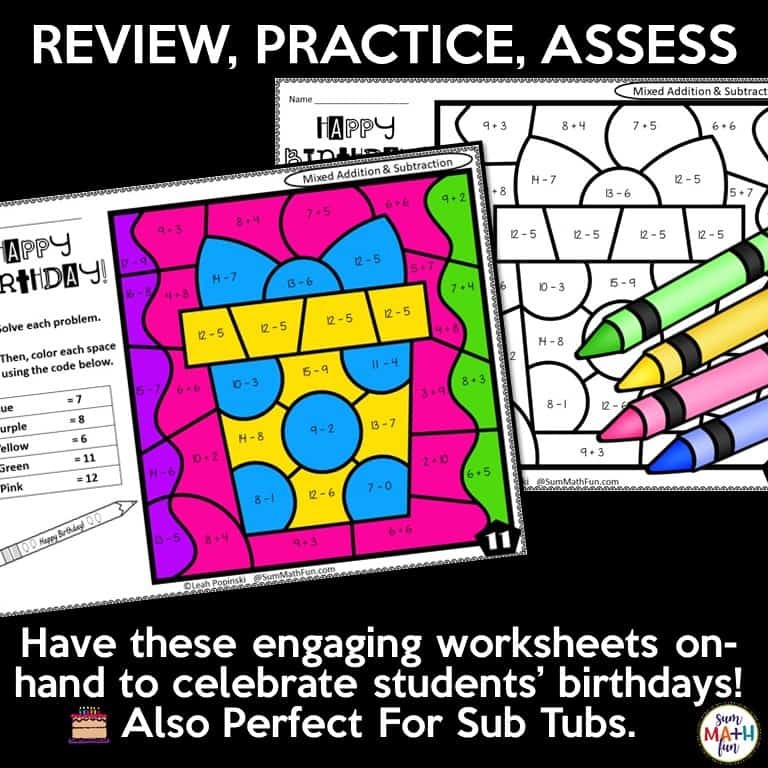 Just print and have these fun and engaging worksheets ready-to-go! 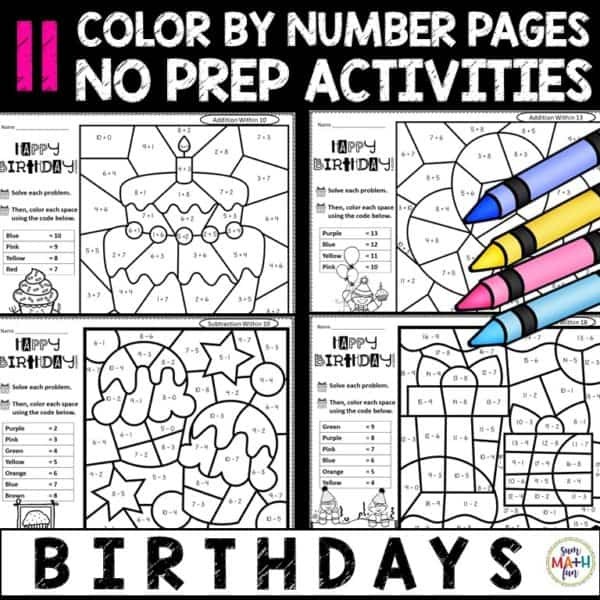 NO PREP! 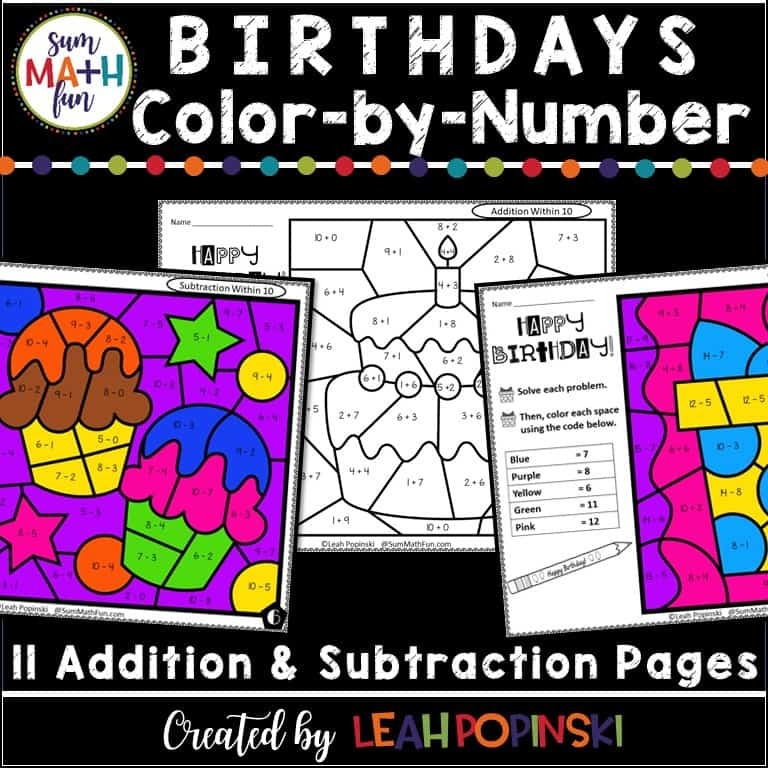 These color-by-number pages are a great way to celebrate student birthdays and still get addition and subtraction practice in! 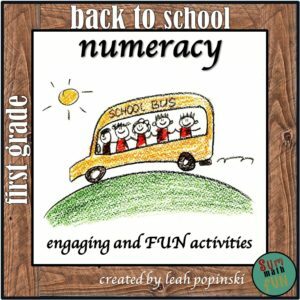 They were designed to give your students a fun activity that reviews important math skills and to give you an easy way to engage your students with NO PREP. 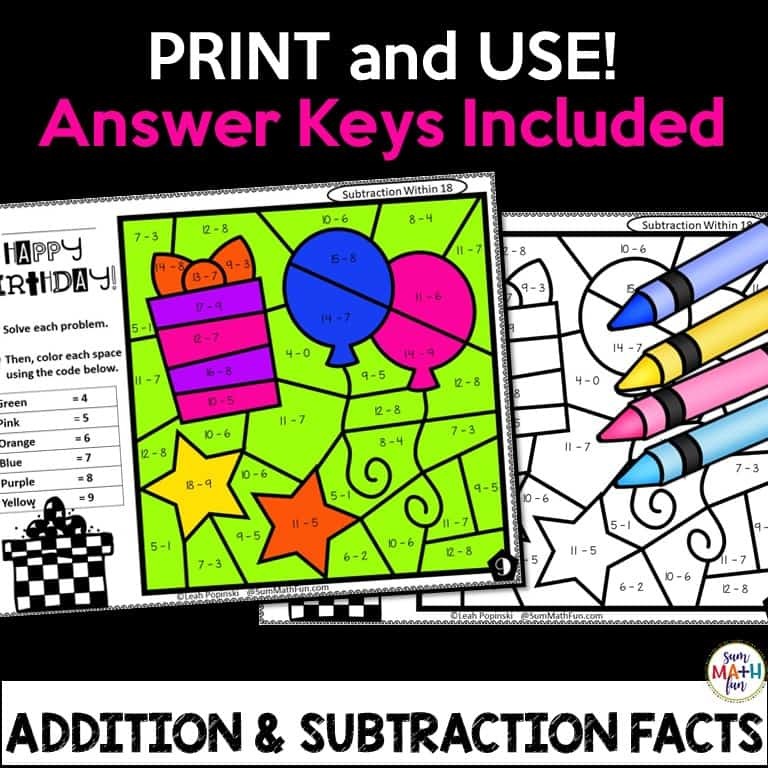 While your students will love coloring, they will be practicing and reviewing addition and subtraction facts! 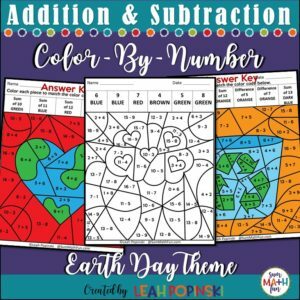 There are 11 color by number worksheets in this packet that will keep your students engaged and challenged. 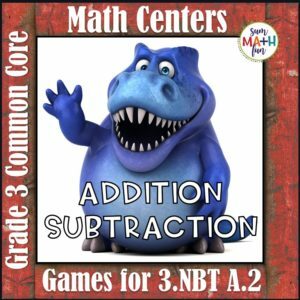 Five of the pages are addition, five are subtraction, and one is mixed addition and subtraction. 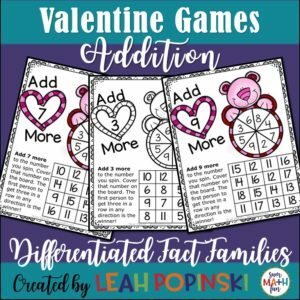 ❤️ Answer keys are included!